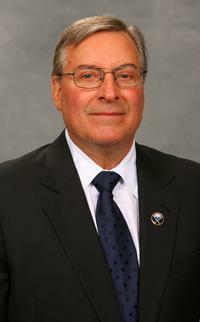 Terry Pegula is a popular figure in Buffalo, but the activities of his hydrofracking company operating near Coudersport, PA are drawing criticism. As Investigative Post reports, the company has disrupted the lives of residents and run afoul of state regulators. 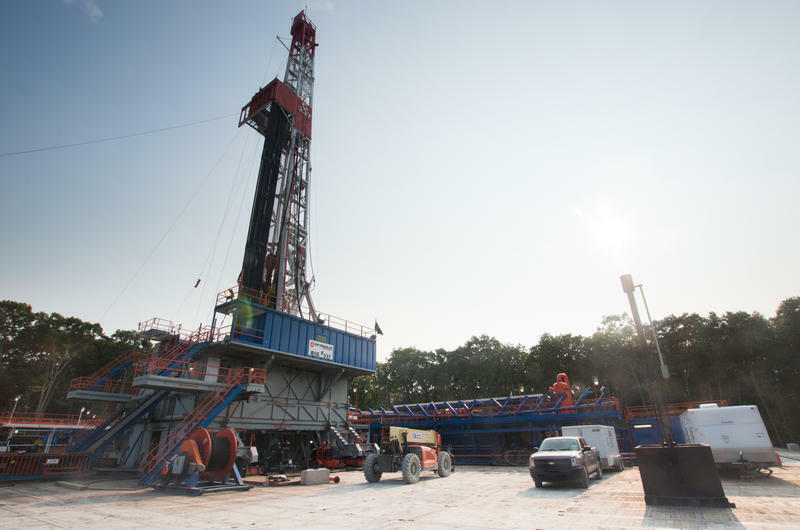 University of Rochester researchers say a new study offers some clues about the potential affects of groundwater contaminated by hydraulic fracturing chemicals on the immune system. 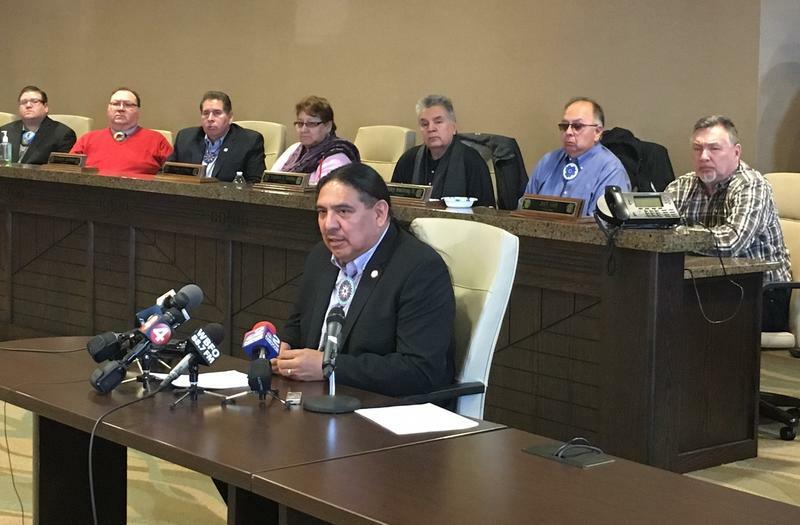 The Pittsburgh law firm representing a company that wants to build a water treatment plant in Coudersport, PA to treat natural gas fracking waste has told the Seneca Nation and President Todd Gates to keep quiet about the plant, saying he is making "false, destructive and defamatory statements." The nation has lashed back, with help from a heavyweight Washington, D.C. law firm. 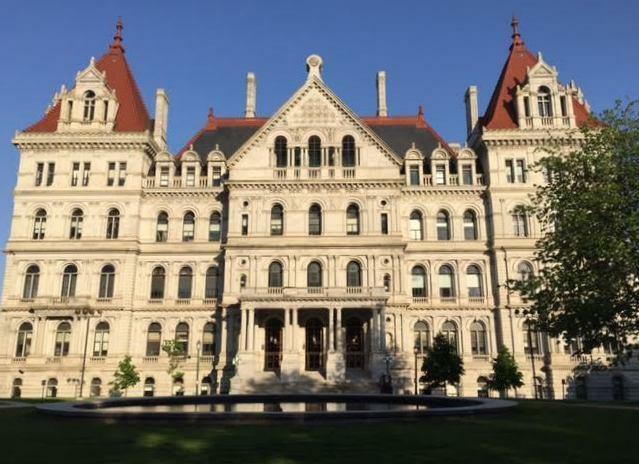 Republicans and Democrats in both houses of the New York State Legislature met Wednesday to hear a very long State of the State message about the issues affecting their political perspective and their districts. As concerns about changes in federal environmental policies continue to garner headlines, advocates sponsored an “Earth Rally” Saturday at Allegany State Park. Two years ago, the state banned hydrofracking of natural gas within the state’s borders. However, a group of Cornell scientists who study the effects of climate change say New Yorkers are using more natural gas than ever. U.S. Congressman Tom Reed said new regulations for hydraulic fracturing on federal lands should be more than enough reason for Governor Andrew Cuomo to reconsider his ban on the drilling practice. Rep. Tom Reed (R-Corning) says New York state's hydrofracking ban could hurt national security and taxpayers could end up footing the bill. 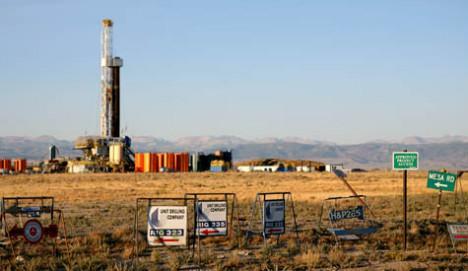 While anti-fracking organizations are celebrating a state ban against the gas extraction process, gas and business interests say they are outraged. WBFO's Eileen Buckley has reaction from both sides. Environmentalists are celebrating while gas companies are fuming over Governor Cuomo's decision to ban hydro fracking in New York State for the near future. Albany Correspondent Karen DeWitt provides some insight into the decision in an interview with WBFO's Morning Edition host Jay Moran. Environmentalists are celebrating after Gov.Cuomo said there will be no hydrofracking in New York for now, citing inconclusive scientific evidence on the health effects of the gas drilling process. Before the gubernatorial candidates started volleying debate points, citizens were volleying protest slogans. Outside of the WBFO-WNED studios, shouts for second amendment rights – mostly aimed at Governor Cuomo – were just as loud as chants against fracking for natural gas. 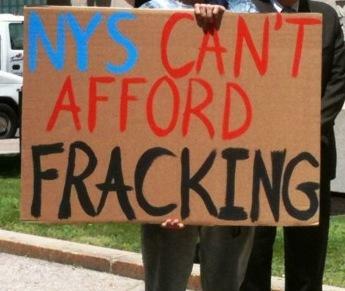 The issue of hydrofracking played a role in the recent Democratic primary for governor in New York, and those who oppose the gas drilling process hope it will influence the general election, as well. Lieutenant governor candidate Tim Wu was in Buffalo Thursday, touring the city's East side and meeting with members of the Buffalo Teachers Federation. New York's rules about natural gas "fracking" have become more complicated following a ruling by the state's highest court that local governments can ban the gas drilling process. 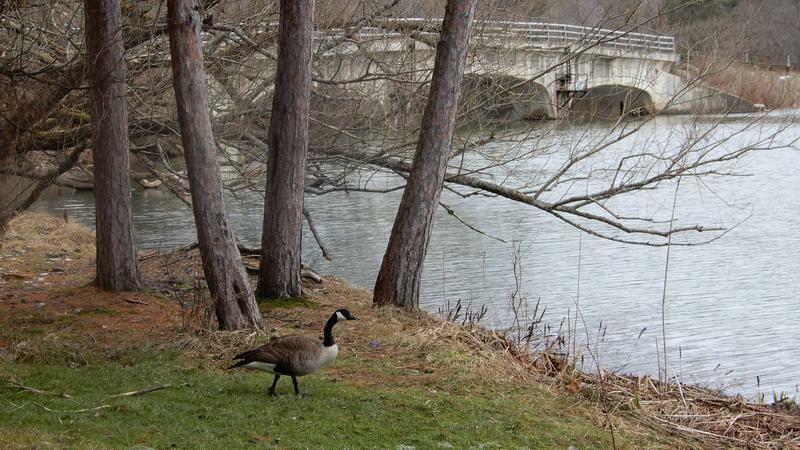 Hydraulic fracturing for natural gas dominated Monday night's Amherst Town Board meeting as the members voted to start writing a law to ban the process in the town. Documents obtained by a group opposed to hydrofracking show that the Cuomo Administration is conducting a thorough and comprehensive health study on the controversial natural gas drilling process, a process that has been conducted almost entirely in secret. Local environmental activists are calling on Governor Andrew Cuomo to "move away from dirty and dangerous fossil fuels" in order to meet goals contained in a state energy plan. 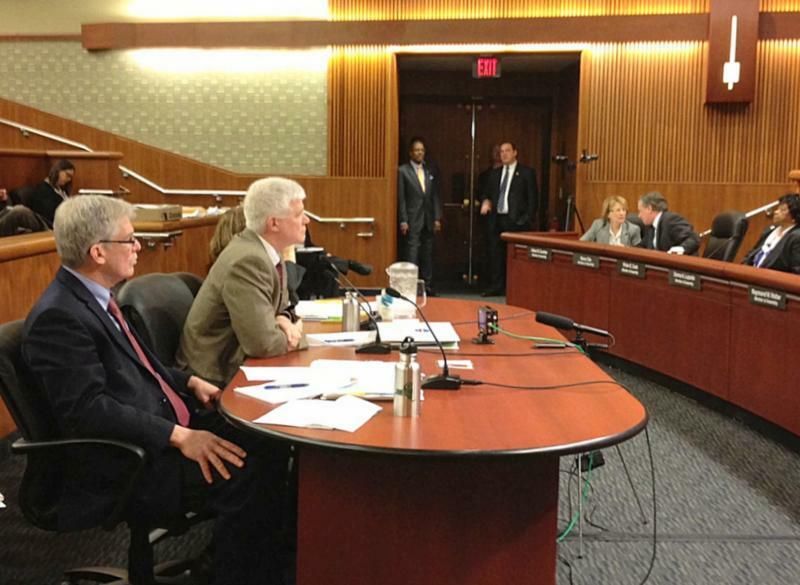 Governor Cuomo’s Health Commissioner was questioned by lawmakers at a budget hearing about his on- going review of the health effects of hydro-fracking. But Dr. Nirav, Shah provided few details. One day after President Obama touted the hydrofracking of natural gas as a “bridge fuel,” Governor Cuomo’s environmental commissioner says it’s “extremely unlikely” that permits for drilling wells will be issued in the next year. Erie County Executive Mark Poloncarz has approved a local law banning hydraulic fracturing, also know as fracking, on county-owned land. A public hearing on a proposal to restrict natural gas fracking in Erie County Monday turned into an attack on opponents and on Governor Cuomo for blocking fracking statewide. Erie County Executive Poloncarz will hear about the pros and cons of natural gas fracking Monday afternoon as he holds a public hearing on limiting the energy source in Erie County. A bankrupt energy company is suing the Cuomo Administration over the long delayed decision on whether to allow hydro-fracking in New York. Their attorney says the action was prompted by remarks made by Governor Cuomo and his Health Commissioner earlier this week. Governor Andrew Cuomo says he may not decide whether the state should go ahead with hydrofracking for natural gas until after the November 2014 elections. Erie County legislators voted in a bipartisan manner Thursday to ban natural gas drilling using hydraulic fracturing in the county, commonly known as fracking. Legislation that would ban hydrofracking on county-owned land is expected to be voted on today by the Erie County Legislature. 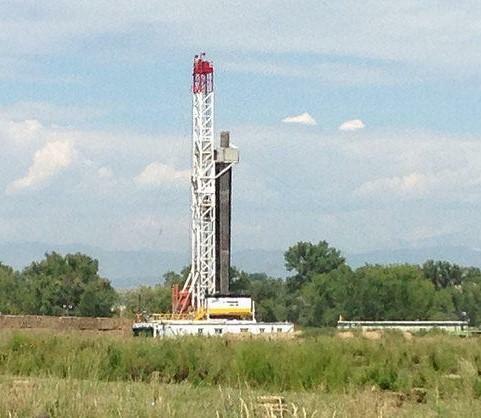 A new report claims that the job impact of shale gas drilling is exaggerated by supporters. 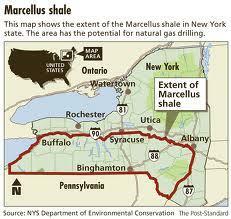 The analysis finds only one out of every 795 jobs was shale gas related in the six-state area it focused on. 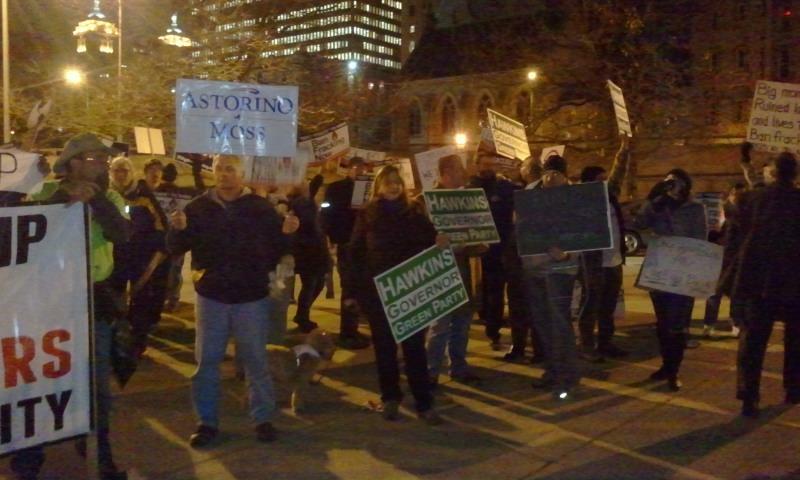 A large fundraising affair for Governor Andrew Cuomo brought protestors to downtown Buffalo Tuesday night. Fracking supporters were inside the Hyatt Regency Thursday night while opponents were outside in the rain.